Barcelona, over the recent years, has established itself as the premium footballing fraternity and with that comes the responsibility to outperform the opposition week after week. However, in their bid to do so, the club has often had to prefer a certain set of players over extended periods of time while a number of players, who made their dream move to the Camp Nou, finally see the larger picture and decide to move away from the club. In this segment, we take a look at 5 Former Barcelona players, who were shipped out by the club, but are impressing with their performances in the current season. Romeu learnt his trade at La Masia, after moving from fellow Catalan club and rivals Espanyol at the start of the 2008 season. While he tipped to make the first team in a matter of time, the defensive midfielder was largely restricted to appearances for the Reserves side and made just 2 appearances for Barca before moving to Chelsea in the summer of 2011. 5 years later and after spells at Chelsea, Valencia and Vfb Stuttgart, the player has finally found extended playing time at his latest club, Southampton. Perhaps, the departures of Morgan Schneiderlin and Victor Wanyama have helped his cause. However, it needs to be mentioned that the Spaniard has been in fine form for the Saints. 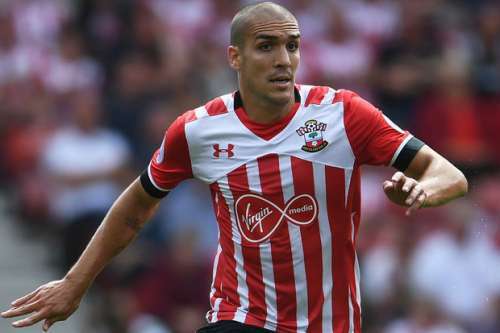 In the current season, Romeu has missed just one season in the League for the Saints and is being cited as one of the reasons the Saints have been in fine form defensively. Romeu has been effective as the defensive midfielder of his side, making frequent tackles, winning aerial duels at a consistent frequency as well as disrupting the opposition’s rhythm with well-envisaged interceptions. At 25 years of age, the player is approaching what is often termed as the peak years of a midfielder and should he continue with the form he has been in, he could establish himself as the foundation of Southampton’s ascent to English football.